In the early ‘90s, the Foundation had to make some tough choices to keep the nursery open. One of the toughest was the decision to sell most of our collection of 100 botanical watercolors by Jane Pinheiro. 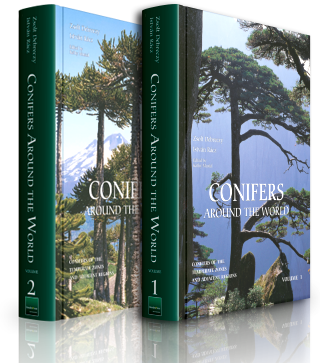 The collection came to us in 1960, shortly after the Foundation was formed, thanks to a donation arranged by Tasker and Beula Edmiston of the Nature Conservancy and Bonnie Templeton from the Natural History Museum of Los Angeles County. 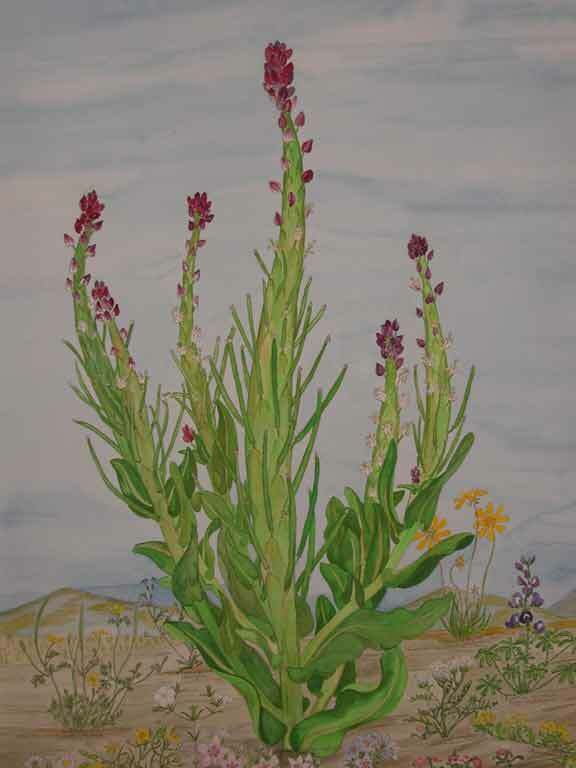 “The Poppy Lady,” as Pinheiro was called, was well known for her watercolors depicting the flora of the Antelope Valley. She was a self-taught artist and botanist who took great pride in the accuracy of her illustrations, and her work was collected widely. Born Jane Seymour, Pinheiro was raised in Salt Lake City and lived in Pasadena for years, helping her mother run a boarding house. One of the guests was Joseph Pinheiro, a native of the Azores. He and Jane married in 1930. In 1940 they moved to the Antelope Valley, where Jane became enamored with the desert flora. She was deeply involved in the civic affairs of the Antelope Valley region and instrumental in establishing the California Poppy Reserve. Though she did not survive to see the opening of the visitor center at the Reserve, 163 of her paintings are displayed there each spring. Upon her passing in 1982, Pinheiro’s family donated dozens of additional paintings to the Foundation, providing a rich body of work for our art program. The original 100 paintings and several of the later acquisitions were large paintings depicting species in a natural landscape setting. Most of her later works were smaller unfinished studies and drawings. A decade later, financial woes at the Foundation forced us to sell about 70 of the initial 100 paintings. It was a difficult decision, and one not taken lightly. The Foundation is in a much better place today, and we’ve been able to recover several of these paintings from generous individuals. In 2005, seven Pinheiro works from our original collection were offered at auction, and we placed the winning bid! Enter our newest heroine, Helen Moore, who had purchased 34 of our Pinheiro paintings during our very lean times. Sadly, Helen passed away in 2009. In May of this year, her family chose to return those paintings to the Foundation. And so it was that this group of remarkable botanical illustrations made its way back to Sun Valley. Most are still in their original frames with the original, though slightly faded labels, on their glass. This season the Theodore Payne Art Gallery once again is proud to share with you the unique watercolors of Jane Pinheiro—thanks to Helen Moore, whose purchase helped us through a trying period and whose donation now helps rebuild our wonderful art collection. The exhibit runs through September 30, 2010. We are also proud to have a dedicated corps of volunteers, the Theodore Payne Arts Council, who are working to develop new exhibits that celebrate our extraordinary native flora. Your support for the Foundation and the Arts Council helps us bring you new and inspiring exhibits each quarter. Times have changed at the Foundation, and we are thriving like never before. And remember! There are still many Pinheiro paintings waiting to make their way back to the Foundation. Please keep your eyes peeled! For more information, contact info@theodorepayne.org or call (818) 768-1802. Visit the Theodore Payne Foundation online at www.theodorepayne.org.